This really isn’t worthy of comment in itself. 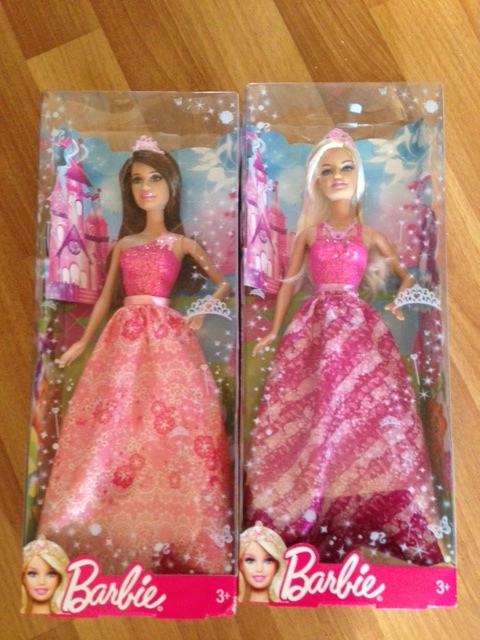 But what is interesting to me is the girls’ reactions to the dolls. Firstly they were both very happy. So that’s great and I’m pleased I bought them the revolting pink plastic monstrosities. Bunny got out any other dolls of a similar size and type and lined them all up in a row. As she has one more doll than Kitten she did some loud counting every now and again to hammer that message home for her big sister. She collected all the dolls’ accessories and put them in a row too. She plaited all their hair so they looked the same and swapped clothes round then put them all back again repeatedly. Repetitive play but she was content in her own little world and Bunny would have carried on like this for hours. Kitten felt anxious about her doll. She has said ‘I wish…’ many times since I gave her the doll. I wish I had more bobbles…had more dolls…the shoes were a different colour. She has asked her little sister Is my doll prettier than yours? Are you jealous of my doll? Do you wish you had my doll? For Kitten life is a battle to be won. My girl constantly feels she is not good enough. She doesn’t deserve nice toys, or clothes or love. She had 4 years to learn this before she came to live with me. The anxiety about this permeates everything she does. So she is trying to reassure herself that her doll is the best; really she is trying to reassure herself that she is the best while she has a pit in her stomach that tells her that whatever she says and does she will never be good enough. Perhaps also the fact I had bought her something she knows I don’t like scared her a bit. Being loved that much is very scary to Kitten! Kitten quickly dysregulated. The doll play became very physical and she drew her little sister into this, skilfully trying to control everything Bunny said and did. Dolls have been slammed into the floor and into the furniture and into each other. Bunny bought in to the battle for control. If Bunny has an idea fixed in her head she finds it hard to swerve from it. If pushed too far she will meltdown on an epic scale. 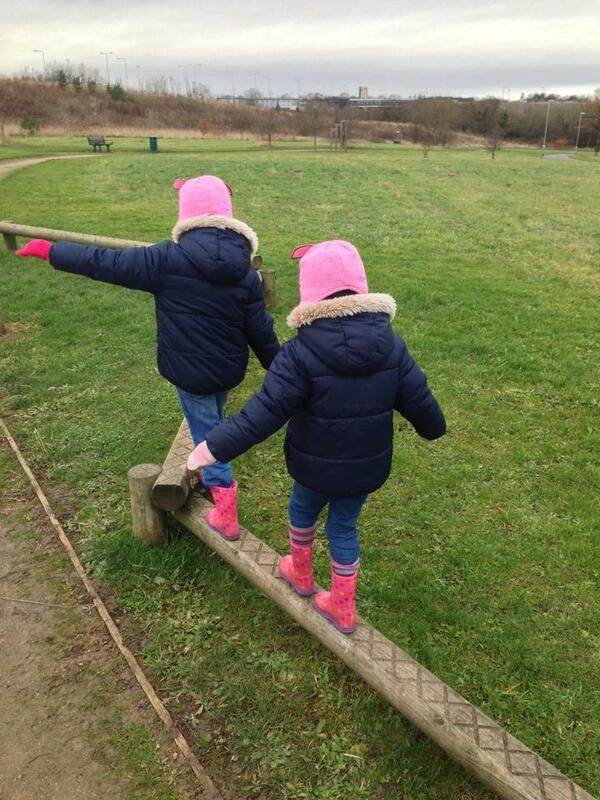 And so we have had dysregulated chaos from both girls. I shouldn’t have let it get this far. I usually step in to prevent things escalating. So I will attempt to re-establish calm for Bunny and Kitten as they are unable to self calm. They’ve had bananas and warm milk for a snack. I’ve brought their Lego out and they’re playing separately. Bunny has her dummy in and is doing a lot of rocking as she plays. Kitten has her weighted lappad on her knee and is sighing a lot! We have something soothing to listen to while we play. This will be a work in progress till bedtime and beyond. Kitten is VERY angry. Bunny is shell shocked. Do I regret buying the offending pink items? No not at all. I hope and pray that Kitten and Bunny will look at their Barbies sometimes and remember how much their mummy loves them. This entry was posted in dysregulation, Family and tagged adoption, Barbie, dysregulation, family, love on February 21, 2014 by 3girlstogether. Both my girls suffer from a lot of anxiety. I am always trying to think of new therapeutic ways to help them. Neither child sleeps well (this is a huge understatement), Bunny suffers from quite severe separation anxiety, nightmares and cries A LOT and Kitten is probably the most anxious person I have ever met – self harming, very hyperigilant, rocking, stimming, nightmares etc etc. It’s a Worry Eater; you write your worry on a piece of paper and zip it into her mouth and then the Worry Eater deals with it for you. Isn’t that a lovely idea? Worth a try mainly for Kitten who is a bundle of stress and worries. Well that has taken the wind out of my sails somewhat. It is all very well to provide the Worry Eater but if Kitten does not have the level of introspection needed then it’s never going to work. 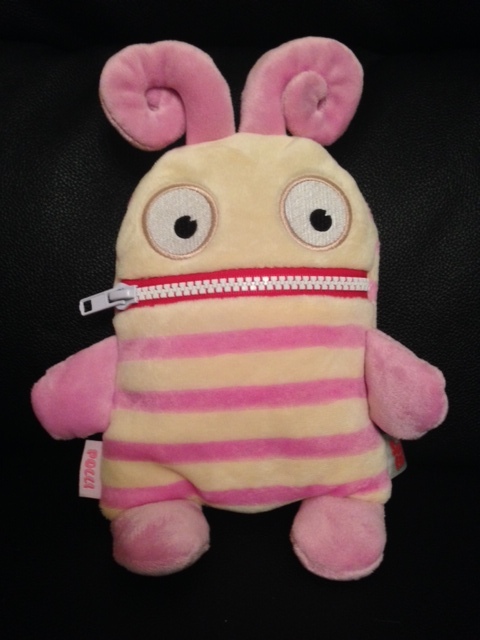 Everyone involved in Kitten’s care recognises how anxious she is, but if she herself is unable to recognise even the most minor worry then my Worry Eater will have to go back on the shelf for now. This entry was posted in Family, Therapeutic Parenting and tagged adoption, anxiety, Self harm, therapuetic parenting, Worry Eater on February 15, 2014 by 3girlstogether. I’ve been thinking about the astonishing, ridiculous and downright rude things people have said to me since I’ve adopted Kitten and Bunny. Sadly there are far too many to mention so I’ve picked my top ten! Each comment at the time had me fuming and ranting. Looking back at this list now I can smile at people’s ignorance and stupidity. Happily I have also had many more lovely, supportive and perceptive comments but I’ll save those for another day! This entry was posted in Adoption, Family and tagged adoption, CAHMS, RAD, Social Workers on February 14, 2014 by 3girlstogether. Today I’m thinking about Adoption Social’s #WASO theme of ‘A Year On’. Over the past year I have hit some terrible lows; wondering if I am fit to parent my girls and if I can give them both what they need to live happy, healthy lives. I realised how bad things were for us when my parents, who adore the girls, sat me down and told me how worried they were and that they would support me whatever I decided about our futures. All three of us cried a bit that day. But recently I am feeling a bit more positive about things. Yet the girls’ behaviours haven’t improved in the last year and often it’s much worse. So what has changed? If I’m honest getting the RAD diagnosis for Kitten means I no longer feel guilty saying I struggle to meet her needs. 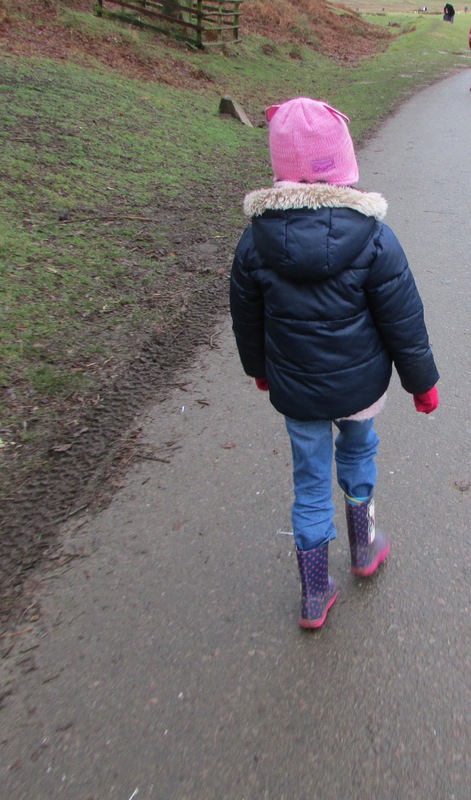 It sounds terrible I know but I feel I can be honest and say it’s tough – not tough because I’m a rubbish parent but tough because parenting children with RAD can be hard. Kitten rejects me every day at almost every opportunity but I know it’s not my fault and I am doing all that is humanely possible to help her. So I have stopped the guilt trip when things are difficult or not improving. Probably the most significant event in the last year was that I asked the placing authority for an assessment of need. This was risky because their previous SW was negative, oppositional and dismissive. This time I was lucky enough to find a supportive SW who listened and believed me when I told her what life was like (especially after she had spoken to Camhs!) I was given a generous adoption allowance. Now I can continue to work part time. I can pay for a cleaner and for groceries to be delivered rather than the weekly ordeal of shopping trip with Kitten and Bunny in tow. I have a little respite care, at the moment once a month and only for a couple of hours but we’re building it up slowly. And it’s great! These things have freed up my weekends and afternoons once the girls are back from school. More than I ever I can devote myself 100% to the girls and their needs. The only ‘jobs’ I do when they are in the house are making meals and half an hour of ironing once a week. Everything else can wait. Every day when we get in from school the girls wait to hear what I have decided we are doing that afternoon. As they find free play difficult this suits us all. It might be Lego, playdoh, puzzles, or board games. (Idea stolen from my lovely friend @Purdy2233 – thank you). I would love to say we do making or baking after school but I’m not quite that adventurous yet. But I sit back, forget about the practical stuff and try to absorb myself in whatever the girls are doing until bedtime. I have also found the motivation to get up and out at the weekend. Kitten and Bunny are always better off out and about. Sleep deprivation had me collapsing in a heap. Now I’m equally exhausted but determined to go on an outing. We’re building some happy memories and I can usually squeeze a coffee in wherever we go so I don’t fall asleep. When they’re in school I’ve even started going to an exercise class with a couple of mums from school. And it’s fun. So ‘A Year On’ I am more serene and more focused on what my children show me they need. God willing I can continue as long as they need me to. Now if you’ll excuse me, Friday night is film night and the girls are asking for more popcorn so I’d better dash! This entry was posted in Adoption, Family and tagged adoption, disruption, family, RAD on February 7, 2014 by 3girlstogether. Where have all the appointments gone?! I am in the middle of a run of zero appointments for the girls: 3 lovely weeks without a single appointment. It really is a novelty for me, particularly because I work 3 days a week so my ‘free’ days are often chock-a-block with appointments for Kitten and Bunny. File some paper work. Is it only my girls who seem to attract endless piles of official letters, forms, etc? Clear out some old toys. I would love to think I could make some much needed cash on EBay or FB selling these but I think time pressures mean they’ll go to charity instead. Clear out some clothes. My wardrobe is full of unworn outfits and as I’m in my pjs by 7pm every night I think I can safely send many of these to the charity shop. Start work on life story books. I haven’t received books for Kitten or Bunny but I did eventually get a disk of photos after much nagging. I already have the fab Joy Rees book ‘Life Story Books for Adopted Children; A Family Friendly Approach’ so I really have no excuse. So those are my 4 aims for these 3 weeks. It doesn’t seem like much probably but I often feel tired and find getting on with practical things quite hard. I’m hoping that writing them here publically will force me to at least do some of them! 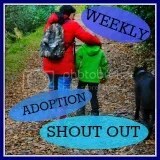 This entry was posted in Uncategorized and tagged adoption on February 5, 2014 by 3girlstogether.